The concept of the word emotion appears in many areas of our lives. Our emotional wellbeing impacts upon our ability to be accepting of both ourselves and of others, and our ability to maintain good relationships with others. It's a big contributing factor to whether we feel comfortable and can be effective in the different areas of our lives – at home, at work, and socially. 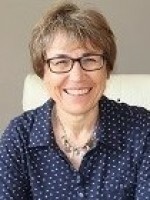 'Emotional Intelligence' is a topical phrase today. Although famously discussed in Daniel Goleman’s book of the same name, it is only very recently that this concept is being taken up in schools, and other educational providers, as a greater understanding that the need for emotional growth is as important - I would argue more important - as our physical and intellectual growth in allowing us to achieve our full potential. It is still a fact, however, that academic achievement in terms of numbers of A* - C grades, is the yardstick by which schools, and thus pupils, are measured. Although this is, of course, important, this narrow focus means that any endeavours by these institutions to embed emotional intelligence into the curriculum are overshadowed by the need to show such results. 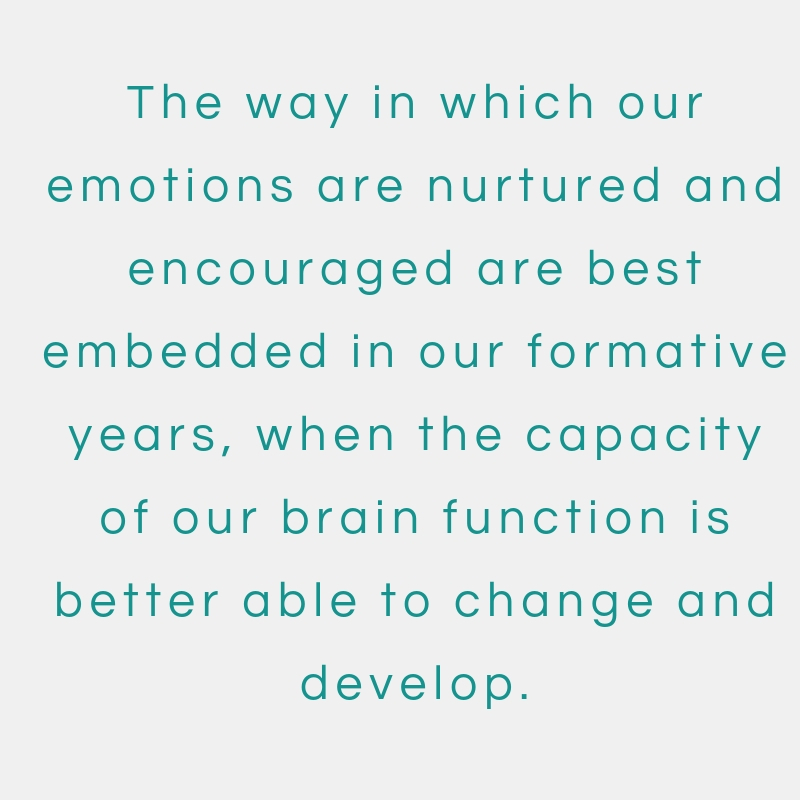 And yet research shows (as evidenced in Daniel Goleman’s book) that children who are emotionally intelligent grow up to be able to be much more successful and happy participants in the world in which they live. People may show emotional intelligence in one or more of these areas, but be unable to show emotional intelligence in others, or indeed have difficulty with all these areas. The way in which our emotions are nurtured and encouraged are best embedded in our formative years when the capacity of our brain function is better able to change and develop, and it is here that the attributes of emotional intelligence are developed or stifled, according to childhood experiences of parenting, and the surrounding world. People at the top of their game because of their intellect, or peak physical condition, may yet be experiencing huge difficulties in their lives because they are unable to understand or engage in the rudiments of emotional intelligence. Occasionally this might be because of a medical condition. But so often it is as a result of past difficulties or traumas, or inappropriate nurturing, which have resulted, over time, in the burying and denial of our feelings, because in order to survive and function, feelings which are painful are not allowed to surface. So, we may grow intellectually and physically, but emotionally our growth is stunted. However, emotional intelligence can be learned once we are grown up. The realisation that emotions are the root of a person’s difficulties needs to be brought into self-awareness. In order to be able to begin this process, a person must, first of all, find self-acceptance. The paradox is that it is only once we accept ourselves for who we are and where we are now, that we are able to start the process of change. We do this through learning to recognise, acknowledge and working through our emotions. This takes great courage, but it is a process that will be the best thing we ever do. EMDR: Therapy for overcoming stress, anxiety and trauma Psychological Recession?